Offered here for the first time in English, Pirro's 1907 work is considered a masterpiece by many. Its uniquely engaging analysis has informed and moved readers for more than a century, and it is now more available to all who seek greater insight into the expressive import of Bach's music. 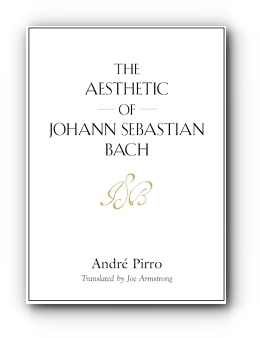 Offered here for the first time in English, "The Aesthetic of Johann Sebastian Bach (L'Esthétique de Jean-Sébastien Bach)", by the celebrated scholar and organist André Pirro, was originally published in 1907. Considered a masterpiece by many, it supports a uniquely engaging analysis that has informed and moved readers for more than a century. This translation introduces Pirro’s work to a new audience of those who wish to have a greater understanding of the expressive import of Bach’s music. Performers, in particular, will find it a valuable touchstone for instilling every figure and phrase they play with an ever-deepening range of feeling. Focusing first on the meanings of the motifs and other devices that Bach uses to depict the emotions, actions, and atmospheres of particular vocal settings, Pirro then carefully examines how Bach makes use of these devices in his instrumental accompaniments, orchestrations, pieces without a text, and even choices of compositional forms. The study concludes with an examination of the influence Bach’s predecessors and contemporaries had on his work and offers Bach as an exemplar of a uniquely German spirit through the religious devotion and attitudes toward love, nature, and humor manifested his music. This book is a triumph not only for its author, but for Joe Armstrong, the man who brings to this translation a nuanced sense of rhythm that captures Mr. Pirro's subtle cadences in a book of great technicality and breathtakingly beautiful prose. It's a real achievement of translation. And Pirro's achievement is indeed monumental—the precision, the vast range, the erudition, the love. Pirro demonstrates the matching of musical and verbal motifs, line after line—a majestic form of collaborative eloquence. There can be no doubt that Pirro himself is a passionate pursuer of the true and essential nature of Bach's expression. The second edition of André Pirro’s 1907 classic, "L’Esthétique de Jean-Sébastien Bach" – "The Aesthetic of Johann Sebastian Bach" – translated by Joe Armstrong and first released in 2014, has been published. Most books of this kind would be considered masterpieces once in their lifetime, but this one earned that epithet twice – the second time after Mr. Armstrong offered his monumental translation of it in which he captured Mr. Pirro’s “subtle cadences” in what is “a book of great technicality and breathtaking prose”. 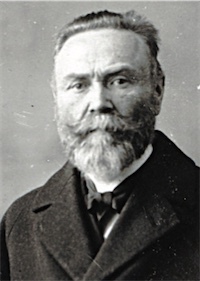 Author André Pirro (1869–1943) is considered one of the most important pioneers of modern French musicology. He published numerous books and articles on music, among them the biography J.S. Bach, L’Orgue de Jean-Sébastien Bach, Dietrich Buxtehude, Descartes et la Musique, and Histoire de la Musique de la fin du XIVe siècle à la fin du XVIe. Pirro was also a member of the directorial committee of the Schola Cantorum, where he taught organ and music history, and in 1912 he succeeded Romain Roland as professor of music history at the Sorbonne.